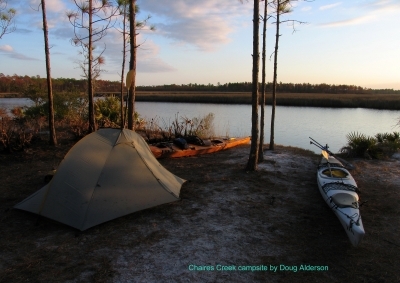 Beginning at Big Lagoon State Park near Pensacola, extending around the Florida peninsula and Keys, and ending at Fort Clinch State Park near the Georgia border, the Florida Circumnavigational Saltwater Paddling Trail is a 1,515-mile sea kayaking paradise. 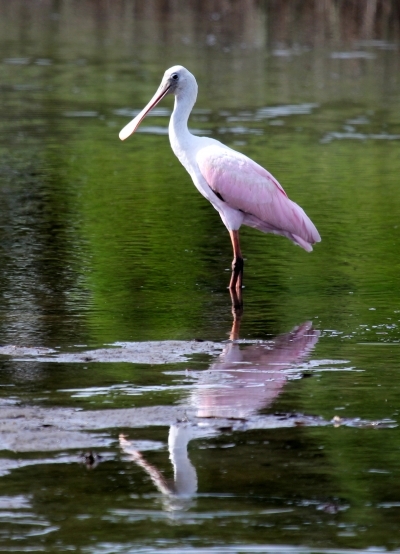 Location: From Pensacola, around the Florida peninsula, to the Georgia border, the entire coast of Florida, Pensacola to Georgia border. 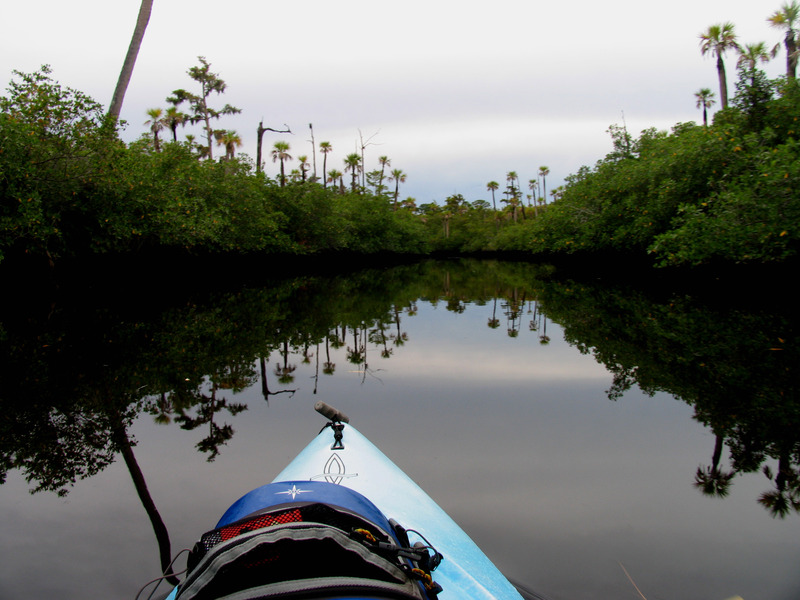 The Florida Circumnavigational Saltwater Paddling Trail has been divided into 26 segments. Each segment is unique, ranging from the remote Big Bend Coast and Everglades/Florida Bay wilderness, to the more urbanized coastlines of Pinellas County and Fort Lauderdale. Once complete, the trail will likely be utilized by thousands of Florida residents and visitors alike who will paddle the trail for a few hours, days, weeks or months. 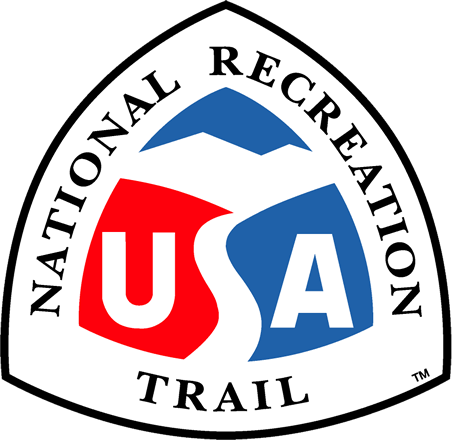 Some hardy souls will want to paddle the entire trail, or complete the trail in segments over several years, similar to how hikers often tackle the Appalachian Trail. 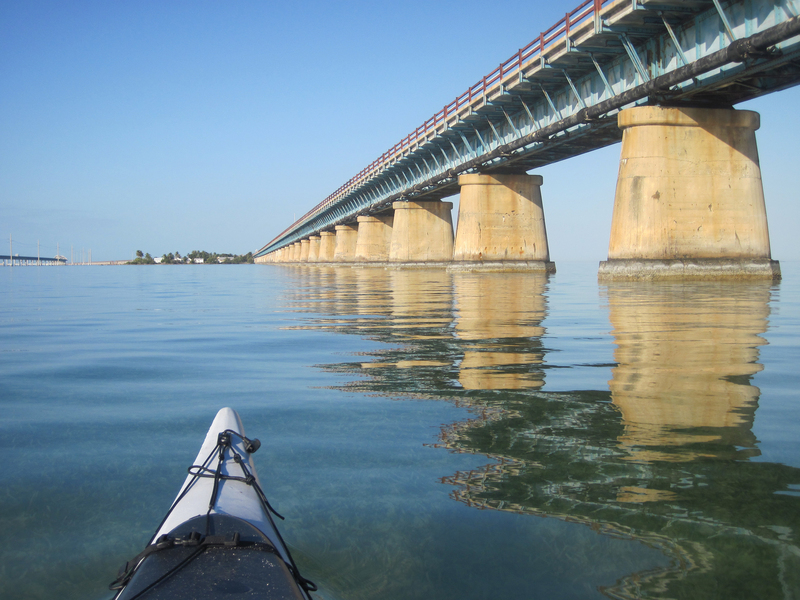 Paddling the Seven Mile Bridge. Photo by Doug Alderson. 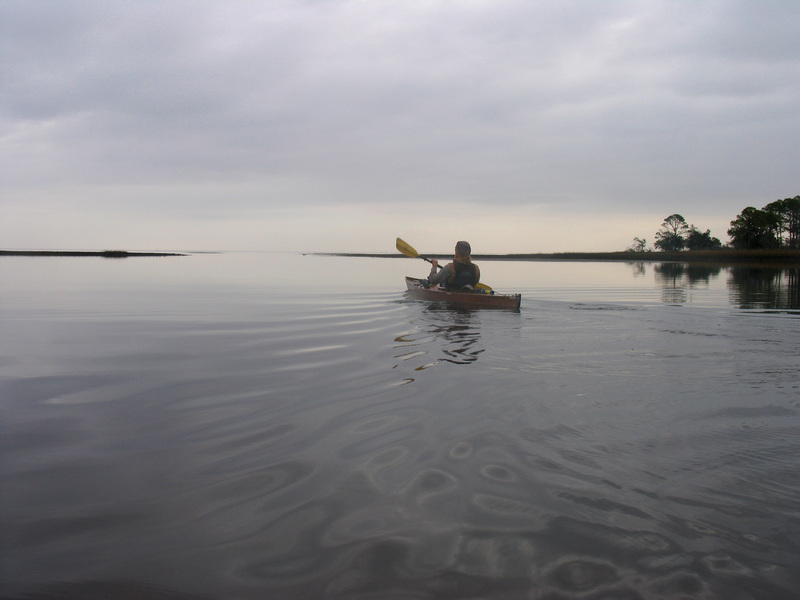 Paddling into Ochlockonee Bay. Photo by Doug Alderson. 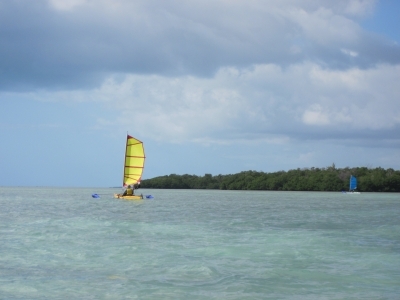 Sailing Kayaks in the Florida Keys. Photo by Doug Alderson. 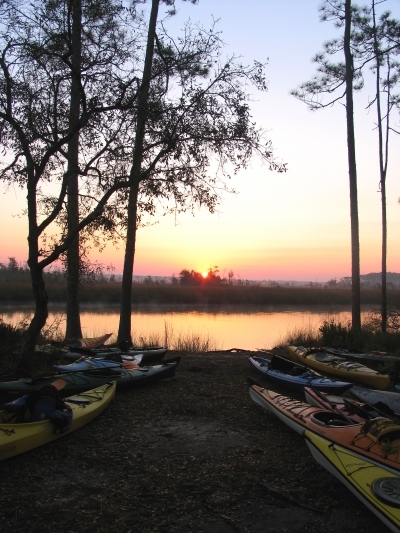 Sunrise paddlers at Ochlockonee River State Park. Photo by Doug Alderson. 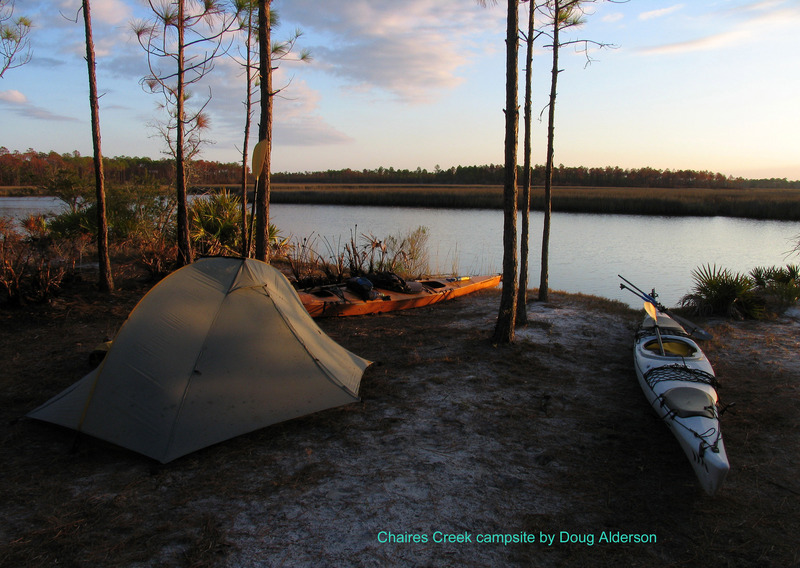 Chaires Creek campsite in Bald Point State Park. Photo by Doug Alderson. 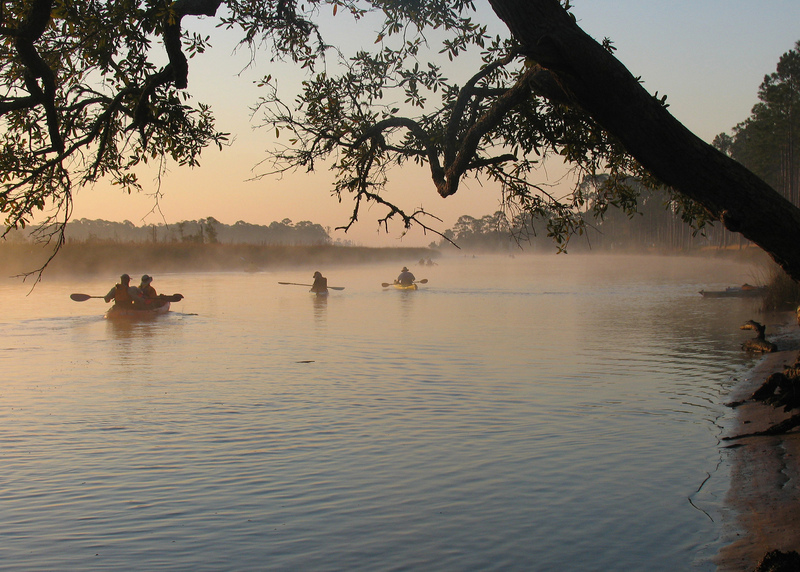 Paddlers in the Big Bend. Photo by Doug Alderson. Sunrise and kayaks on Segment 5. Photo by Doug Alderson. 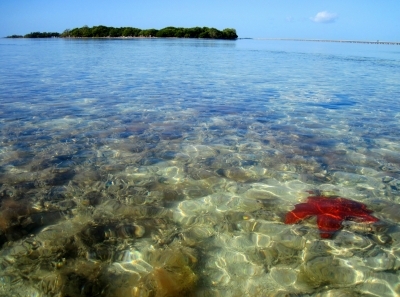 Bahama Starfish in the Molasses Keys. Photo by Doug Alderson. 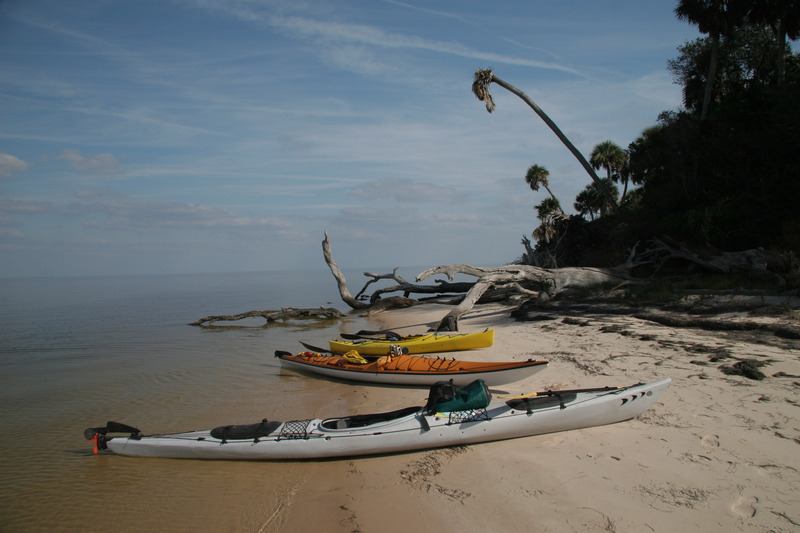 Kayaks on Snake Key. Photo by Doug Alderson. 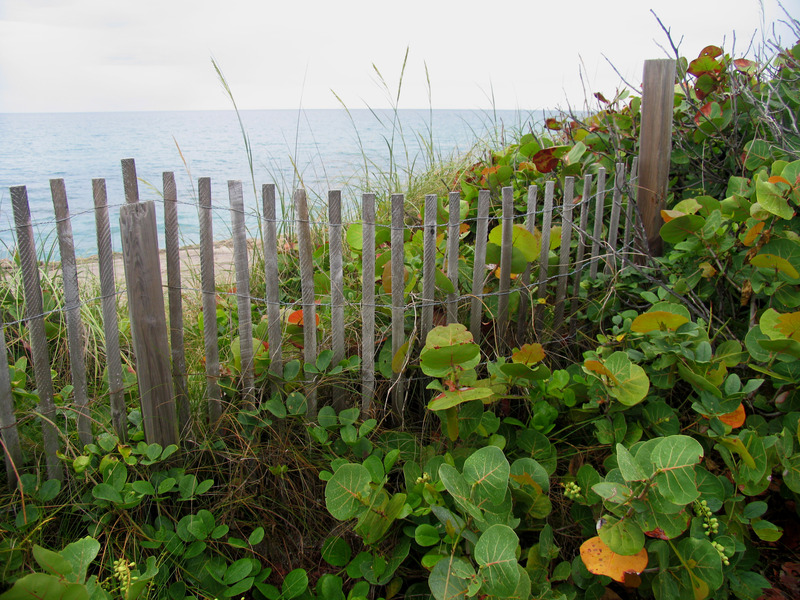 Sea grapes and fence at Blowing Rocks Preserve. Photo by Doug Alderson. Kayaks along Ochlockonee Bay. Photo by Doug Alderson. Landing on Rabbit Key, Ten Thousand Islands. Photo by Doug Alderson. Cedar Key stilt house. Photo by Doug Alderson. Bow view at Ten Thousand Islands. Photo by Doug Alderson. Moonrise over kayaks. Ten Thousand Islands. Photo by Doug Alderson. 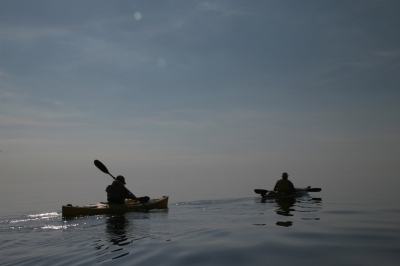 Paddling up Kitching Creek. Photo by Doug Alderson. Steve Kingery scoping out the route. 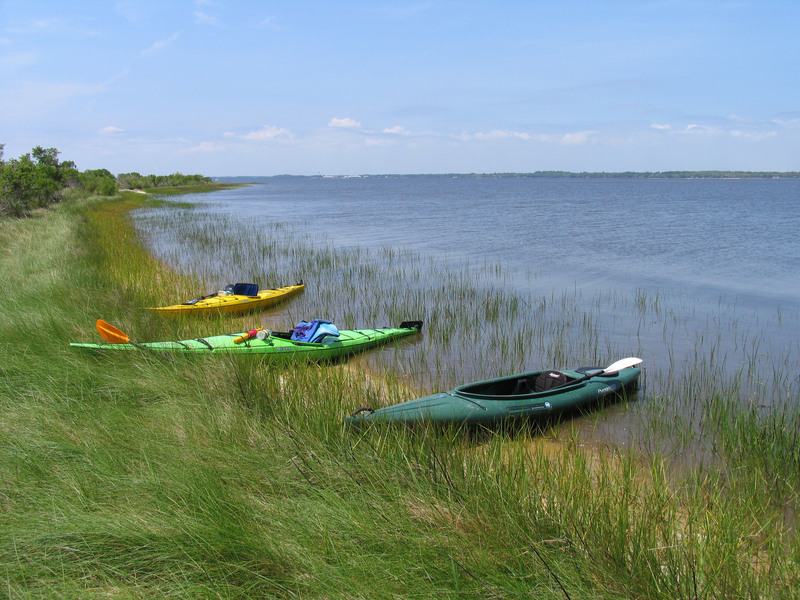 Nature Coast. Photo by Doug Alderson. Roseate Spoonbill. Photo by Doug Alderson.